"’night, Mother" is a 1983 play by Marsha Norman about a daughter, Jessie, and her mother, Thelma (referred to as "Mama" in the play). The play opens with Jessie calmly telling Mama that by morning she will be dead, as she plans to commit suicide that very evening (she makes this revelation all while nonchalantly organizing household items and preparing to do her mother’s nails). The subsequent dialogue between Jessie and Mama slowly reveals her reasons for her decision, her life with Mama, and how thoroughly she has planned her own death, culminating in a disturbing climax. The play is the winner of the 1983 Pulitzer Prize for Drama. When a theatre company chooses to do a two-character show, they had better have two good actors lined up. Out of Box Theatre has that and more in its production of "’Night, Mother." 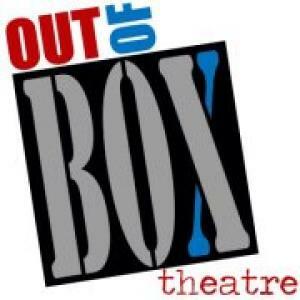 Will Brooks’ set design makes fine use of the limited space on Out of Box’s stage. A compact and functional kitchen takes up stage right, with bright red refrigerator and table set adding a splash of color. Stage left shows the living room, with a chair, sofa, and coffee table flanked by a few items that add a bit of character to the set. Windows are suggested by curtains on the black walls. A door exists up center. Nina Gooch’s lighting design doesn’t need to do much except illuminate the set. That it does well, but it adds an effect at the end of the show that intensifies the emotion of the final moment. The soundscape (with sound design by Kiernan Matts) is wonderful for sounds that emanate from the stage, particularly in a heightened moment of silence, when the ticking of a kitchen clock is the only sound to be heard. The gunshot heard near the end of the show is not loud enough, though, to be as viscerally shocking as it needs to be.